Ever since I was a kid, my passion has been to draw things and ideas that captivate me. Some of these things are from movies, television, video games, anime – media that captured my imagination and in some small part molded me into the person I am today. Initially, this is how I taught myself how to draw. From there, I went to college and earned a degree in Fine Arts, where I learned the more ‘sophisticated’ concepts of art, including art history, oil painting, printmaking, sculpture and the like. I gained a healthy love for painting especially from college, but my interest in illustrating, be it fan-art or scenes from my own mind, never faded. The first freelance illustration job I got after graduation last year was a children’s book, Ferdie’s Grand Day. 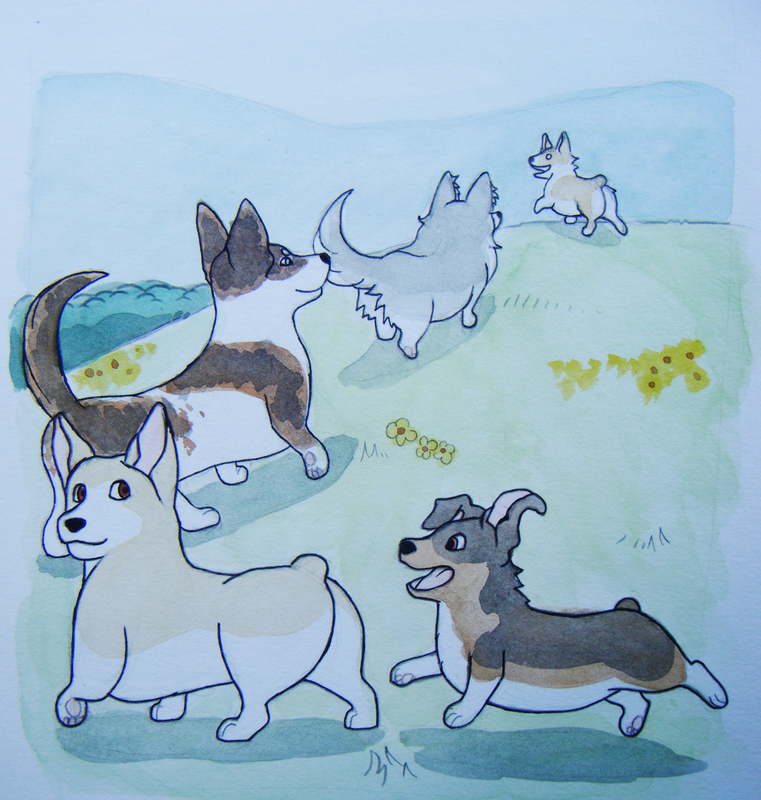 It’s a story about a group of corgis who love adventure (d’aww with me). 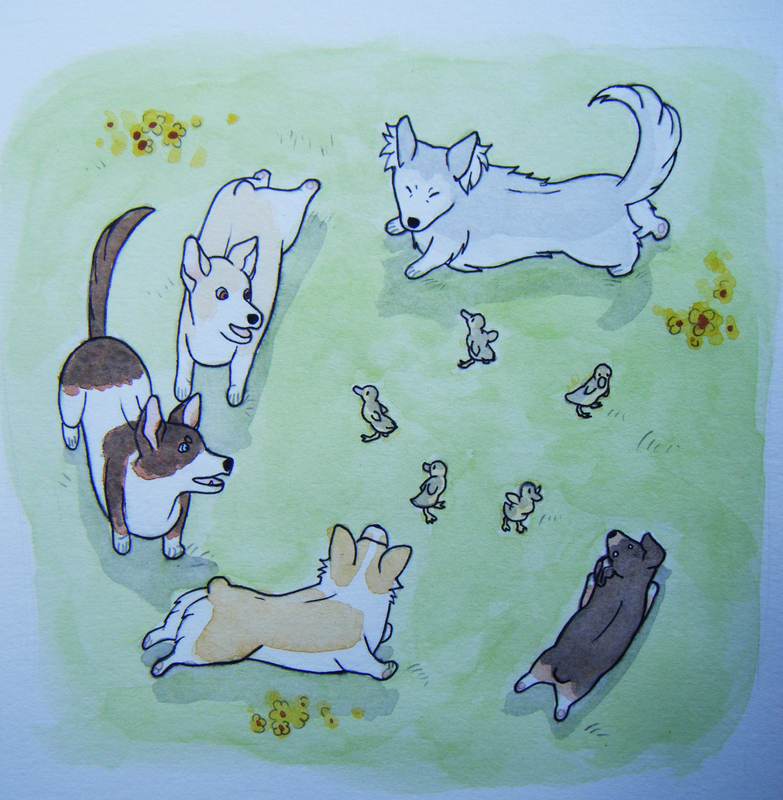 Everybody loves corgis, myself included, so it was a joy to work on. 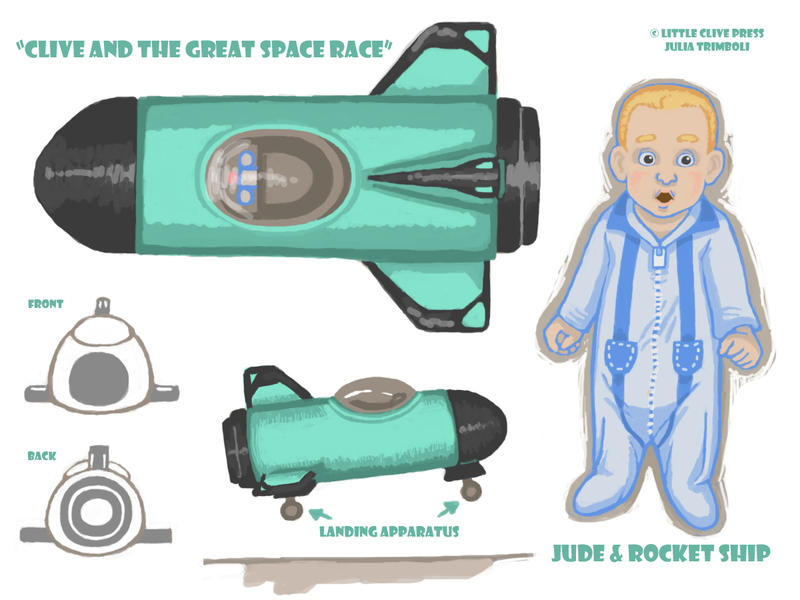 I recently began work my second children’s book, entitled “Clive and the Great Space Race”, or as I’m nicknaming it, ‘Babies in Space’! 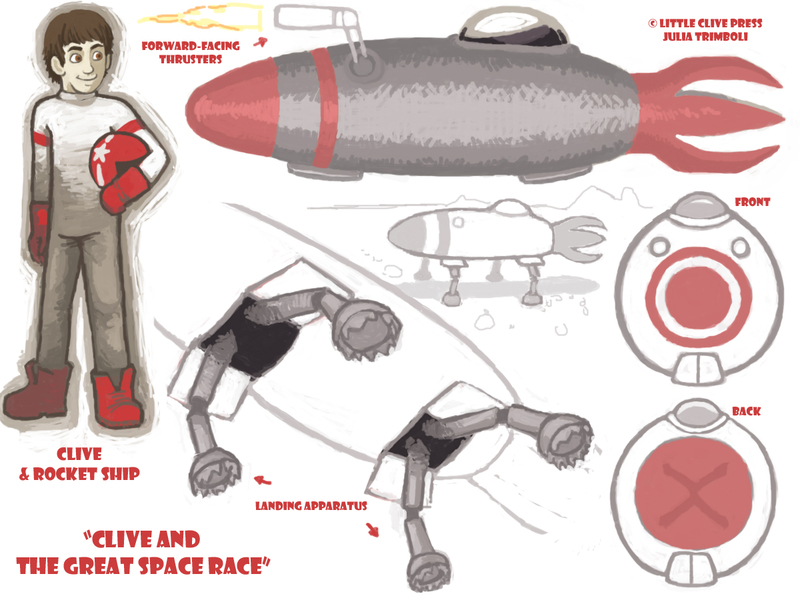 😉 Our hero, Clive, is a brave little boy who has a talent for racing spaceships. 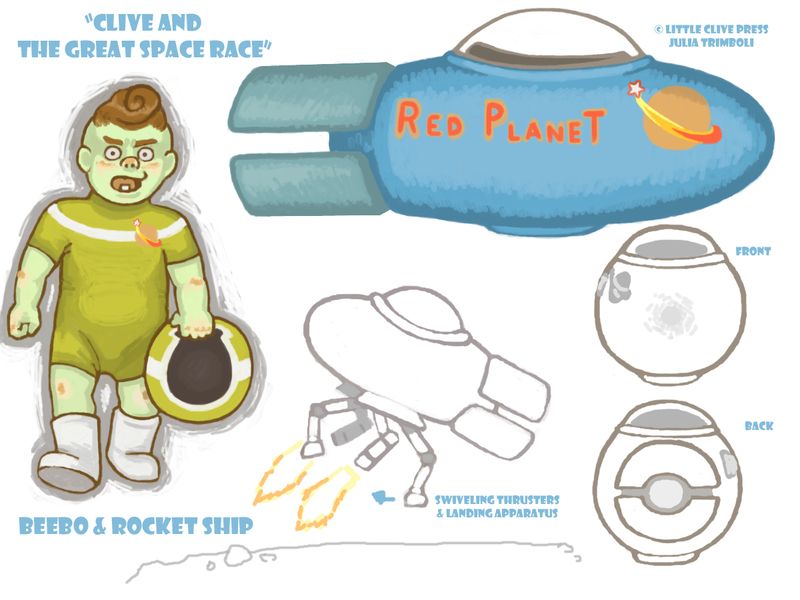 Here are the concept sheets for the story’s three main characters. I made the decision to illustrate this story completely with Photoshop because I’m at the point where I feel confident enough painting digitally to do so. Lastly, I have to give credit to Noah’s Art Camp for helping me improve as a digital painter. I’m sure I’ll be a lifelong student when it comes to art – at least, I hope!